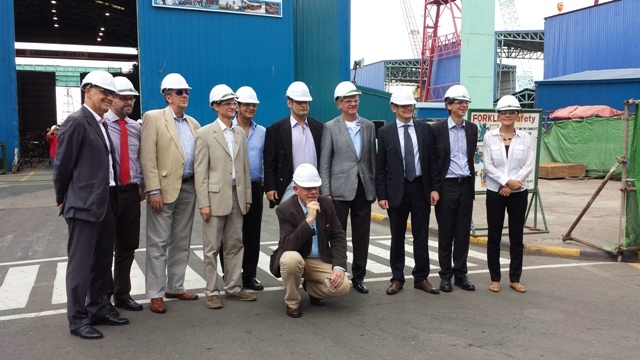 Senior Shell leaders joined by joint venture partners and the Keppel Subic management team welcome the European Union Delegation to the Philippines at the Keppel Subic Shipyard. Malampaya Project Manager Antoine Bliek briefs EU delegates about the Malampaya Phases 2 and 3. 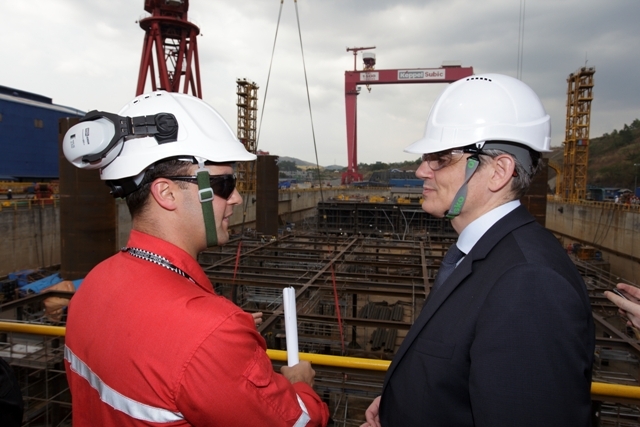 Nathan Stephenson, MP3 Company Site Representative, tours the EU Delegation around the Keppel Subic Shipyard –site of ongoing fabrication activities for Malampaya’s second gas platform. 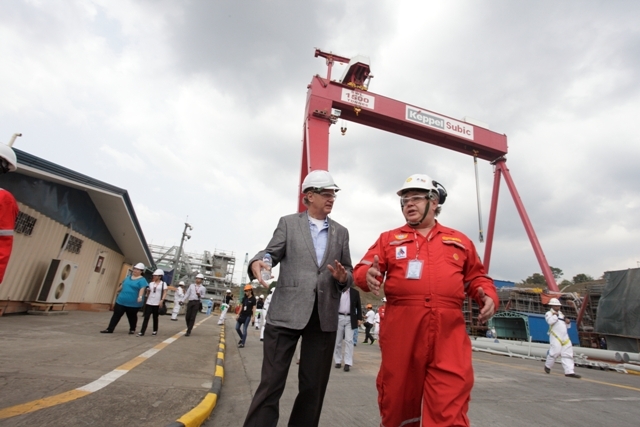 European Union Delegation joined by senior Shell leaders, its joint venture partners and the Keppel Subic management team take their picture in front the largest gantry crane in Southeast Asia. 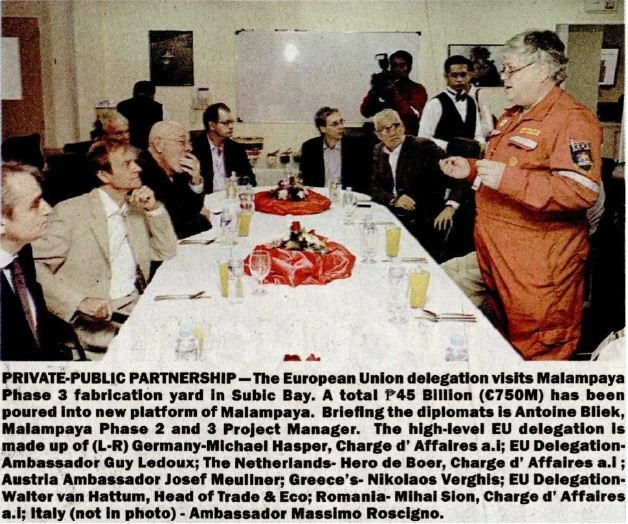 Ambassador Ledoux was joined by Italian Ambassador Massimo Roscigno, Belgi an Ambassador Roland Van Remoortele, Austrian Ambassador Josef Muellner, French Embassy Commercial Office (UBIFRANCE) Country Director Marie-Jose Connan, together with diplomats from the UE delegation and other EU member countries. 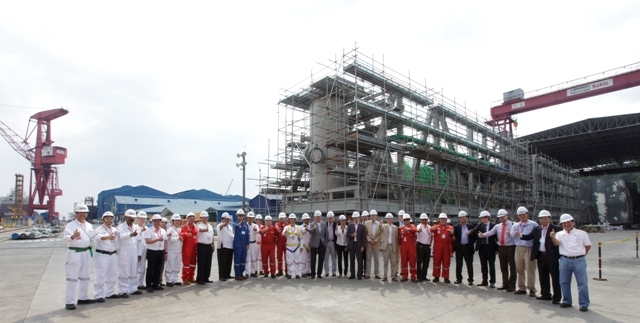 Delegates of the European Union were received by senior Shell leaders and joined by joint venture partners and the Keppel Subic management team. 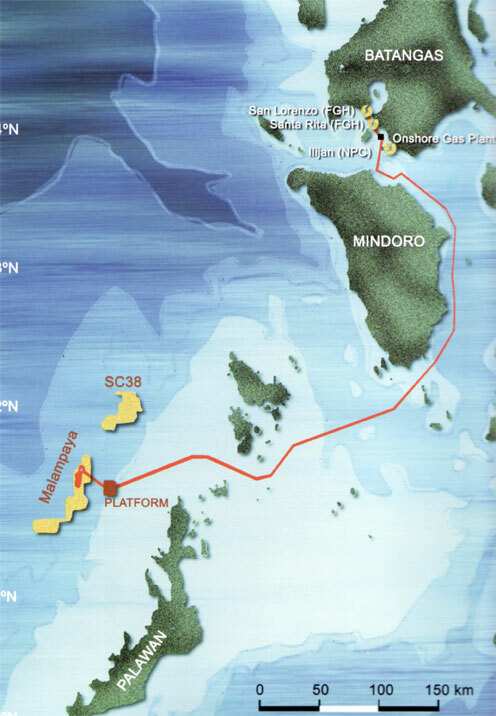 Shell Philippines Exploration, B.V. (SPEX) Managing Director Sebastian Quiniones gave an overview of the pioneering Malampaya Gas Project while Project Manager Antoine Bliek gave a briefing about the Malampaya Phases 2 and 3. 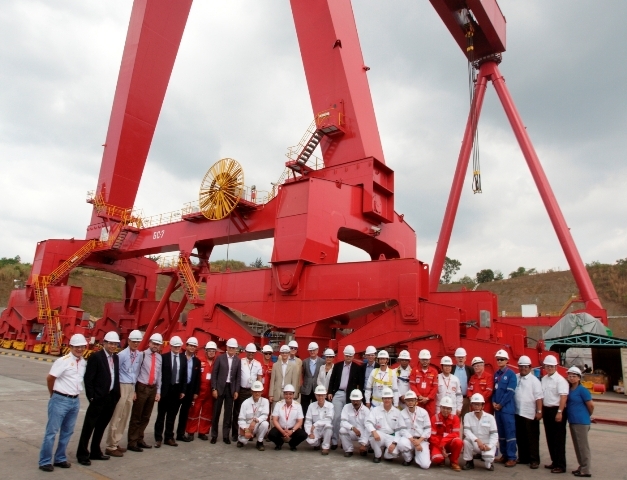 The yard tour which followed the presentation was the highlight of the event where they visited key fabrication areas such as the Grand Assembly Area, Intermediate Dock Gate and Exotic Pipe Shop. 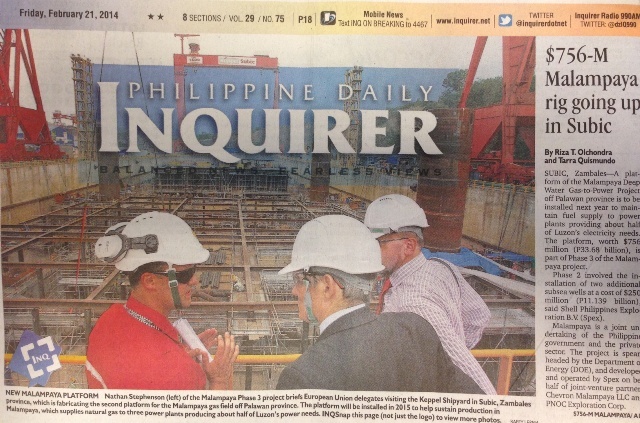 The EU Delegation’s visit to the Keppel Subic Shipyard is published in major newspapers including the Philippine Daily Inquirer and Manila Bulletin.